Skeleton Lake in Muskoka is unique among Ontario lakes for its crystal clear waters and dramatic landscapes. Formed by an ancient meteor strike and scoured by several ice ages, the lake has a rugged natural beauty that draws visitors back year after year. The Skeleton Lake Cottagers Organization is dedicated to the preservation and conservation of the natural beauty and abundant wildlife characteristic of the area. Check out our great summer events! 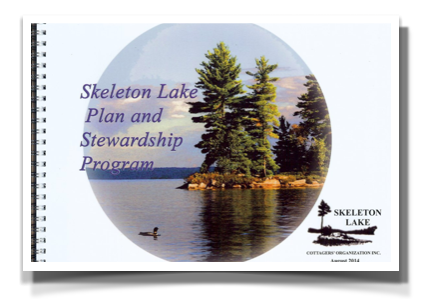 The Skeleton Lake Plan - Get your copy here!